1701 Rhode Island is an artfully designed, 104,000-square-foot office building located in the Central Business District. Akridge and Alcion Ventures, L.P., transformed the former YMCA National Capital building into this boutique office building. Located at the corner of Rhode Island Avenue, NW and Seventeenth Street, NW, 1701 Rhode Island features four sides of floor-to-ceiling glass and a striking copper façade. Ideally situated at the confluence of the Central Business District and DC's popular Fourteenth Street and Dupont Circle neighborhoods, 1701 Rhode Island offers Clients easy access to dozens of restaurants and retailers and is within blocks of Metro's Red, Orange, Blue, and Silver lines. The property features a full host of building amenities, including: a naturally lit fitness facility; a penthouse conference facility and lounge; a landscaped, rooftop terrace; and roofdecks on the penthouse and seventh floor. 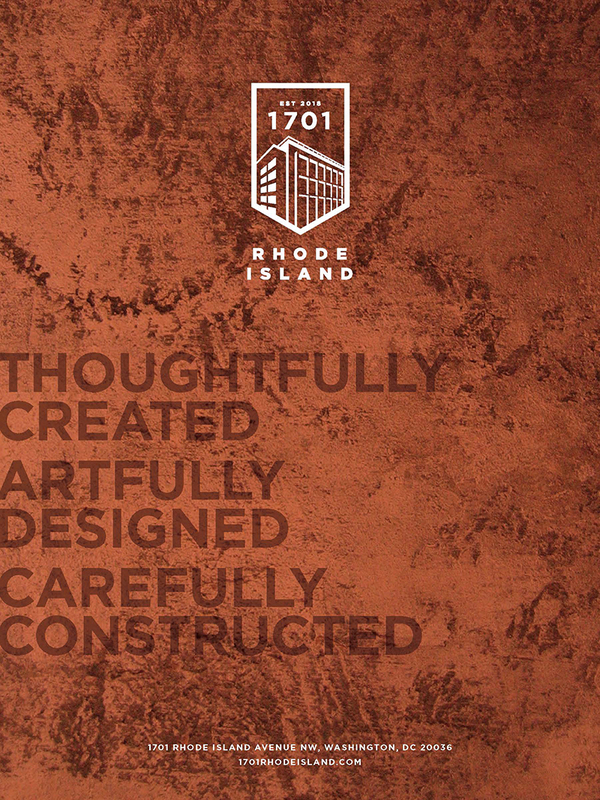 For more information, please visit www.1701rhodeisland.com.